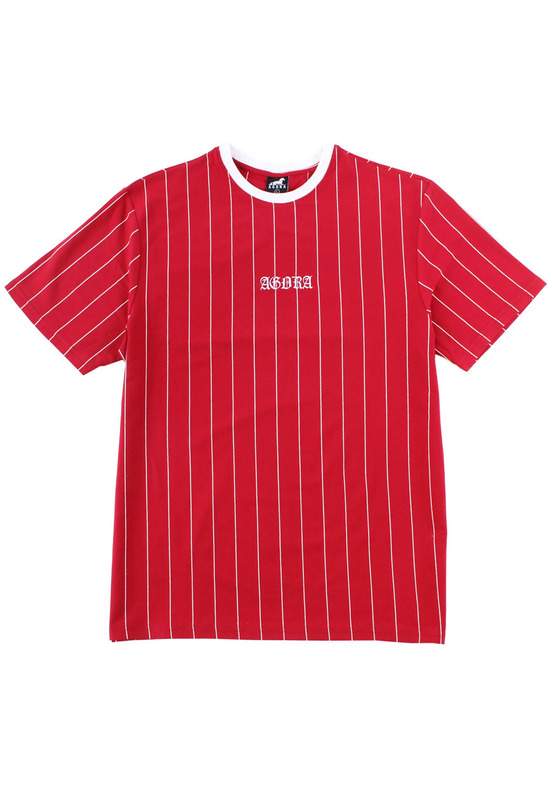 Agora Gothic Pinstripe T Shirt in dark red. Generously sized, medium weight t shirt with contrast ribbed crew neck. Embroidered chest motif.